1821. a padded bucket to sit on while I picked! 1784. Wednesday dinner with our friends: salmon croquettes and key lime pie! 1803. a date with my handsome husband for the first time in months! With a second baby, you don't need much. You already have all the gear, and if you're having the same gender (or if all of your newborn stuff is gender-neutral, as ours is), you don't even need clothes. So we were pretty much set in preparation for Jude's birth, but I had two main items on my wishlist. First, I wanted to try a different carrier. And second, I needed a new diaper bag. I ended up with some beautiful handmade items that I have been meaning to share here for several months! Yeah, just call her Supermom. Love it! But as fast as Jude grew, ring slings quickly became impractical. I know women who swear by them, even carry toddlers in them--but I just could not get it to work for me long-term. I wanted to keep wearing them, but my neck/shoulders/back felt otherwise. It seems I am just a soft-structured carrier kind of gal. Which is what the Ergo is, but I had another carrier to try out here as well. Much as I loved my Ergo, I'd also heard great things about other similar carriers, so I had gotten rid of my Ergo and bought a Kangapack. Custom-made by a girl I know online and sold on Etsy, the Kangapack is very similar to an Ergo, but with a few key differences. Most notably, it's a lot less bulky. The waistband and shoulder straps are narrower, the carrier part is narrower and all the fabric is thinner/softer than the canvas Ergo. Still padded, just a lot more streamlined. Then, it's just a lot cuter :) You can even pick your own fabric (I found this aqua/green/brown stripe at JoAnn). FYI - I definitely wear Jude on my back now, for the most part; this photo was taken several months ago. The carrier itself is basic, and then there are optional add-ons--I paid extra for a sleeping hood (essential, in my opinion) and a zippered pocket (super helpful when I don't want to carry a diaper bag--I can stuff keys, money and phone in my pockets and a couple of diapers/wipes in the carrier pocket). I still love the Ergo--there are pros and cons to both--but I especially love that this one packs up a lot smaller and goes on/fits my shoulders better. And, I know function is more important than style, but I like the looks of it a whole lot more :) Unfortunately the seamstress is a busy mama of four littles who isn't making them at the moment--I'm glad I got mine before she stopped! My other needed item was a new diaper bag. I loved the messenger bag I had for Elijah, except that it was way too small, and the snap had broken. So I was on the lookout for a new and improved bag--and since I'm picky about bags, I asked my sister-in-law to make one for me. And did Michelle ever rise to the challenge! I fell in love with Danielle's Amy Butler bag way before I got pregnant--I loved the style and the fabric and thought it would make a great diaper bag. (Danielle's photo is way more beautiful--I had nowhere to hang my bag to display it well!) Then I found out that the pattern actually *was* for a diaper bag. Michelle got the pattern and went with me to JoAnn to pick fabric, and then we made a bunch of modifications. The original bag seemed really wide and awfully shallow, so I had her make it narrower and deeper. She lined it with six pockets and a cell phone pocket on the strap, a feature of the original bag (BRILLIANT)...and then she did all kinds of other custom features: a loop on which to clip my keys, a small pocket-within-a-pocket so my lip balm doesn't get lost at the bottom of a pocket, and a button closure. Then she made me a pouch for diapers and wipes...and to top it all off, my mother-in-law surprised me by making a quilted changing pad out of the scraps! It is SO cute. I totally love this bag. Yay for talented family and friends! I don't remember exactly when I started writing out my prayers, but it's a practice I've grown quite attached to over the years. My journal, kept regularly since junior high, turned mostly into a prayer journal after I got married, and I've filled volumes upon volumes with pleas and petitions, whining and thanksgiving, laments and intercession. These are among my most prized possessions, so wonderful to be able to look through weeks or months or years later. One reason I so prefer writing out my prayers is that they are more thoughtful. Writing helps me slow down and think through what to pray. I like to ask specific and meaningful things, to pray God's Word back to Him. Meanwhile, I struggle to "pray continually," breathing out prayers while I'm going about my day--perhaps in part because these prayers end up feeling shallow, repetitive, simplistic. But I'm reading Paul Miller's wonderful book A Praying Life, and the chapter "Crying 'Abba'--Continuously" gave me a whole different perspective. Suddenly I wondered: Could the preferences I've just described be, in their essence, pride? Refusing to acknowledge my poverty of spirit, I believe I have much to bring to the table when it comes to prayer. I know how to pray. I'm not just going to utter halfhearted, "Lord, please bless-and-be-with" prayers. If I can't bring all my assets to prayer, can't have a big chunk of set-aside time to wax eloquent, then I won't come at all. Forget it. Perhaps my problem is not so much lack of diligence as it is lack of humility and desperation. I *know*, in my head at least, that I am helpless and hopeless apart from Christ, needy and dependent. But I apparently haven't seen the truth that I am so needy that my need supercedes the importance of thoughtful prayer. What I need, what I lack, is far more significant than what I can do, what I bring. And so my poverty in spirit should trump my desire to pray thoughtfully, every time. God doesn't need my gospel-centered or Scripture-saturated prayers; I need God and His gospel and His Word. O, for this kind of desperation and awareness of need--and O, for awareness of how the Savior has provided for my every need, if I will only call out to Him. He opposes the proud, but gives grace to the humble. 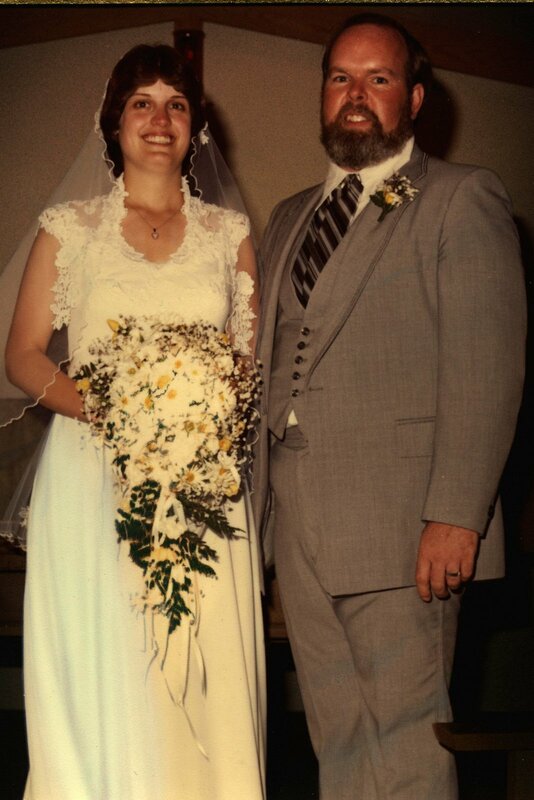 1738. my parents' marriage: they celebrated 31 years last Tuesday! 1740. the accompanying e-book Warrior Prayers - and the fact that I got it for free! 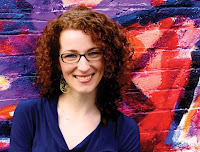 Today's post is continued from yesterday's interview with Lisa Velthouse, author of a new memoir called Craving Grace (which I reviewed here). AK: Have you had moments of regret in terms of how honest you were about various events and thoughts? How have you dealt with the vulnerability brought on by the book's publication? LV: I’m not sure I would call it regret, but yeah. Brutal honesty does bring about a certain sense of increased vulnerability. I can be a people-pleaser, so I have a hard time in particular thinking that some of what I wrote might unintentionally shed negative light on some people, groups, and things. Concealing character identities helps with that fear—you mask somebody so that nobody knows who you’re talking about—but there’s only so much a writer can do. AK: I would imagine memoir writing gets sticky when you begin to tell other people's stories as part of your own. How have the friends and family members portrayed in the book reacted to your stories about them? Along with this, one of the crazy writing lessons in Craving Grace for me was that books, when compared to real life, have a miniscule capacity for characters. Many of the people who are big parts in my life—some family members and friends in particular—don’t have a place in the book. They simply weren’t big parts of certain events and conflicts, so they didn’t make it into the story. I wish I could’ve managed to honor everybody by working them in, but it would’ve become a free-for-all that way. Thank goodness for the Acknowledgements. AK: A significant element of the book is your experience of grace through living in community with other believers. How will you look for that kind of community in new places after having experienced its rich sweetness in Michigan? LV: The Apostle Paul writes that we are to “bear one another’s burdens.” Implicit in this is the idea that Christians should, rather than carrying burdens on their own, make their burdens known. I’ve been thinking about that a lot lately. The burdens I tell of in Craving Grace are of the sort that most Christians consider obvious and urgent: I was in debt, I was lonely, I was sad, I was confused about God, I needed a place to live. These are the sorts of things that Christians are good at helping with: a little cash, a little friendship, some answers, some encouragement, a spare room in the basement. I experienced new depths of faith when others provided for me, eased my burdens, and let me be part of their lives. But circumstances have changed for me, and now my burdens are the less-obvious sort. Still-newly married and newly moved across the country, I crave deep friendships here. I need advice on how to be a better wife. I’m worried about my military husband’s ever-looming next deployment. I need to figure out how to weed the backyard. We could really use help getting rid of the boxes in our garage. Why don’t I think to say these things? Why do I assume they’re not burdens, that they should be borne by only me? The other side to that is: Two weeks ago, my husband and I are now living in our first house. We were able (because of a terrible market) to buy a place that’s a little bigger than only we need, so a family member of ours is living with us too. It’s a great arrangement; it helps us pay the mortgage, offers him cheap rent, and gives us all a better sense of community and reliance. But it’s harder on him than it is on us, because this is our house. Without us, he wouldn’t be living here, but without him, we still would. So he’s more likely to feel like an inconvenience. More likely to apologize for being a burden. And it’s so easy for me to forget that I’ve been in that place myself, to forget how awful and consuming it can be. So I’m learning, I hope, how to give with graciousness and how to bear others’ burdens better. AK: Can you now answer Cora's question on page 59: How has your life changed as God has become the sweetness in it? LV: Certainly I can’t answer it fully, but I can give it a shot now, and that’s progress. I’ve begun to understand the depth of my own sin—it is sinfulness, the reality that even my nature is an offense against God. But with this, God’s grace has become real in my life of faith, because now it’s not merely Bible verses, memorized and mostly forgotten. It’s real, both in need and provision. There is such joy in that, and such worship. I used to follow God because I knew it was what I should do. Now, hopefully more each day, I follow him because I like being with him. He is love to me, and justice and hope and truth, even when I don’t understand what he’s up to. That makes it a pleasure to follow and obey. Thanks so much for taking the time to answer my questions, Lisa! I so enjoyed "talking" with you a bit more about your book and your life. Find Craving Grace on Amazon and be sure to check out Lisa's blog as well! Because I gave her a lot of questions and because she answered thoroughly and thoughtfully, I think there's too much material for one blog post--so I'll post the first half today and part 2 tomorrow. LV: My earliest and midway-through drafts focused entirely on my discovery of grace (or, probably better, its discovery of me): that grace, not works, is the only catalyst for a life of faith. In those drafts and outlines, grace was the big prize at the end of the last chapter, a payoff to thorough readers. But it didn’t work. The story was stale somehow, incomplete. I was writing three years after those first grace experiences, and I knew from life that grace is more than just the spark that starts me off toward faith; after the spark, it becomes the fuel that keeps faith burning. So I ended up weaving two timelines together. The first timeline is past tense: looking back on my fast from sweets, during which I first learned to accept grace. The second is present tense, writing the book and living in community and still craving grace. My hope is that it gives a more full picture of how grace both starts and keeps working in a person’s faith. AK: It seems unusual to write so consciously about the process of writing—in what ways did that make the writing uniquely challenging? How did you discover more of God's sweetness through the process of writing a book about it? Everyday failure is a tangible reminder of my need for God’s grace: here’s yet another instance where I on my own am not enough to get by. For me, those failures—writing is just one; Craving Grace tells of many more—have become a consistent reminder of what is true about me. On the whole, my life is sinful and broken and apart from God. But in Christ, I can have righteousness and restoration and unity with God. That comes only through grace, which is free to me and of total cost to Him. It’s powerfully sweet in every instance. That goes for the macro, which is my need for ultimate redemption, and the micro, which sometimes is just sitting at a computer needing to finish this sentence. AK: Tell us more about Cora. I would expect you to change some characters' identifying details—but I was intrigued (and confused) right from the “Author's Note” page about the creation of a composite character. Was this because your conversations and experiences with Cora were actually experiences with several different mentor-like women in your life? Is creating a character like this a common practice in memoir writing? The true Coras also happen to be demographically different, so I picked a few demographic details from each and then meshed them together. This accomplished two important goals: it simplified the story, allowing that readers wouldn’t have to keep track of two mentors, and it provided the real Coras with the privacy I knew they would appreciate. Now only I and they know which stories belong to each of them. Still, I assure you that Cora is even more incredible as two real-life people than she is as the book’s one. AK: Over the last several years you've had quite a platform for speaking to young girls, in large part related to your first book, Saving My First Kiss. How has your message changed since experiencing the events of Craving Grace and then having the book published? LV: That has been an interesting progression for me. I’ve been speaking to young girls about sexual purity since I was 18. In those speaking opportunities, I was always careful to emphasize grace—became I knew God forgives—and I always shared about my personal vow, which was to save my first kiss until I was engaged. In terms of sexual purity, for a long time that was the only personal story I could share—as Craving Grace tells, it wasn’t until I was in my mid-twenties that I got asked out on my first date. Well. Also as Craving Grace tells, I wasn’t so successful at keeping my one big vow. And I’m older, so I can better understand that complicated things are complicated. Anyway. The issue of purity isn’t so simple to me as it was before. I can relate more to the struggle, because I’ve been through it more now and because now the issue of grace is no longer separate from the issue of my vows. I know now that vows should be made to God because of his grace, out of gratitude for what he has done. And I understand now that every human vow of obedience is in one sense flawed, because it’s human. I kissed a guy I wasn’t engaged to. Kissed him twice! That was a huge failure for me, because it was breaking my vow to God. It hints my propensity to disobey, my pleasure in disobedience. But in Christ it is possible to obey God. A few years after those first kisses—here’s something you won’t find in Craving Grace—my husband and I were both virgins when we married, and that has been great for our marriage and our faith probably in more ways than we realize. In terms of speaking about sexual purity, I still value the same principles I valued before, and it’s still the same message, but far more faceted now. One reason I'm glad I keep a blog is that it's so helpful for me to go back and read old posts. I don't do it often enough--but it's unbelievable how forgetful I am. I write when I am impacted by something I read or heard...then I fail to remember these valuable truths, and need to hear them all over again. Such is the case with this post--I wrote it about a year ago and found it still helpful when I ran across it the other day. Our pastor preached a sermon a few weeks ago that included an analogy I'm still thinking about. He examined Colossians 3:15-17, and began by asking: What is the peace of Christ, and what does it mean for that peace to rule in your heart? Our pastor suggested that the word "rule" in this context means "to act like an umpire." A strange thought. What does an umpire do? He declares what the ball is. When the pitch comes right across the plate, he calls it a strike. When it's outside the box, he calls it a ball. He makes a judgment about the ball, about the pitch--and in this way he rules over the game. Anyway, so when I first tried making cornbread from scratch, none of the recipes were satisfying because they weren't sweet enough. Then I found this one, and I haven't bought a boxed mix since. It doesn't look like cornbread, since the whole wheat flour and sucanat give it a dark brown color instead of the expected yellow. But we think the taste makes it irrelevant whether it looks like "real" cornbread--yum! I really need to start taking and posting pictures with my food posts. Alas. Preheat oven to 350* and grease an 8-inch square pan. Combine dry ingredients. Combine wet ingredients in a separate bowl (mix fats first--do not add cold milk to melted coconut oil). Stir both mixtures together until blended (do not overstir). Pour batter into prepared pan and bake 35 minutes. For muffins, bake at 350* for 18-20 minutes (yields about 18-20 small muffins). Enjoy as a side dish--or crumble and use in tuna cornbread cakes.